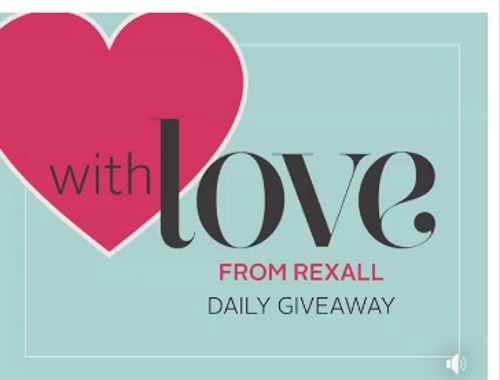 Rexall a has a Daily Giveaway for Valentine's Day! They’re giving away one $25 Rexall Gift Card every day from February 2 - 12, 2018 and one Grand Prize $500 Rexall Gift Card on February 13, 2018 - just in time for Valentine’s Day! To enter look for their daily question on their Facebook Page to win the daily $25 Rexall gift card, and you’ll increase your chances of winning the Grand Prize on February 13, so don’t forget to answer every day! There is a new trivia question posted each day, look for it on their Facebook page and enter accordingly. Contest ends at 11:59pm ET on Tuesday, February 13, 2018.